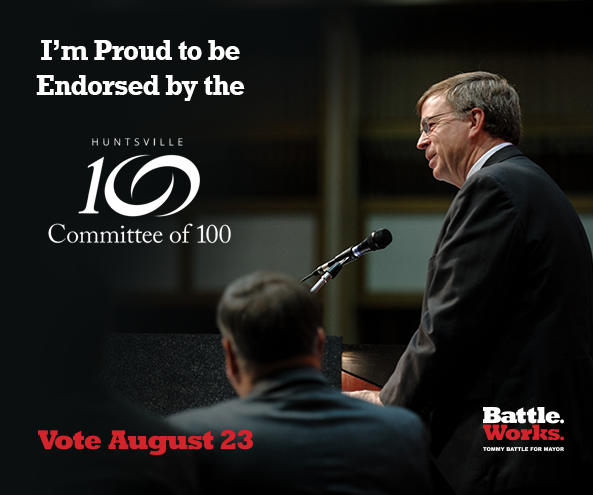 The Committee of 100, a local organization of 240 business leaders, announced today its endorsement of Huntsville Mayor Tommy Battle for a third term. 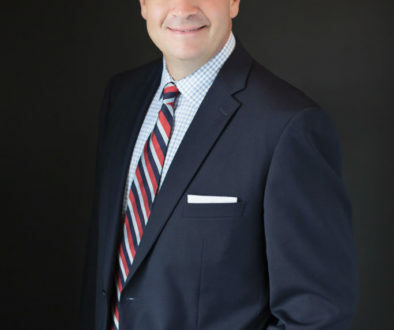 “Mayor Tommy Battle has done an extraordinary job these past 8 years in leading Huntsville to meet its challenges and its opportunities,” said John Allen, Chair of BizPac, the political action arm of the Committee of 100. “He’s led efforts to diversify our economy with manufacturing jobs, new retail, and start-up businesses. He took bold steps to develop an essential road plan and led the effort to gain more state and local funding,” said Allen. 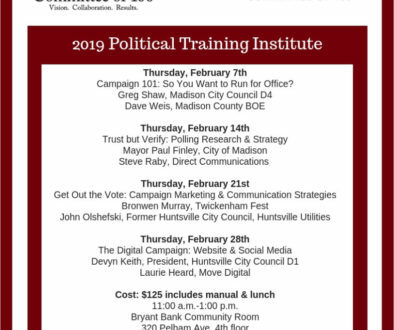 Since 1996, BizPac has contributed money and support to candidates for local offices, including Huntsville Mayor and City Council, Madison Mayor and City Council, Huntsville Board of Education, the Madison County Commission, and Madison County Schools Superintendent and Madison County Board of Education. As part of its mission to encourage civic engagement in local politics, the Committee of 100 also sponsored Rock the Vote 2016 on February 9th for young professionals. This event attracted a large crowd of more than 700 attendees including 45 candidates. About 200 young professionals registered to vote and more than 100 updated voter information at various Rock the Vote events that week. The Committee of 100’s mission is to serve as a catalyst in stimulating Huntsville-area economic development by working with community partners to develop cooperative solutions. 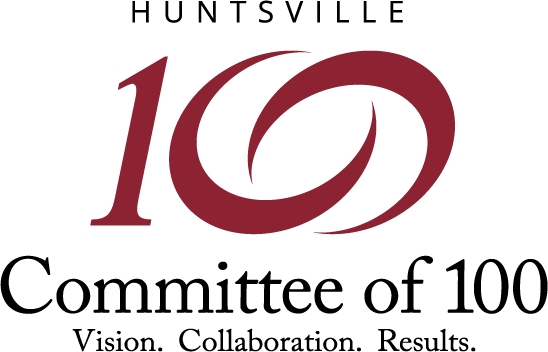 For more information about the Huntsville Committee of 100, visit www.HuntsvilleCommitteeof100.org.